The Vision Quartet are the latest guests in the Chichester Chamber Concerts series, with a date in the Assembly Room, Chichester Council House, North Street on Thursday, February 28. 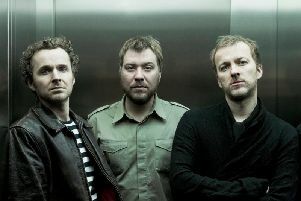 The quartet are Jakob Encke: violin; Daniel Stoll: violin Sander Stuart: viola; and Leonard Disselhorst: cello. They will play Schubert – Quartettsatz; Ligeti – String Quartet No 1; and Schubert – String Quartet in D minor Death and the Maiden. Anna added: “Founded in 2012 and based in Berlin, the Vision string quartet has already established itself as one of the finest young string quartets of its generation. With a unique versatility that focuses on the classical string quartet repertoire alongside their own compositions and arrangements of other disparate genres, the four young musicians are on a mission to re-address how classical music is presented and perceived by both new and traditional audiences. “Their distinctive characteristics of performing all their concerts completely from memory and standing up lend its performances an added intimacy and intensity which has been widely praised. “2016 was a year of remarkable achievement for the quartet as they achieved not only first prize in two major competitions but all the audience and special prizes too. Tickets from Chichester Festival Theatre on 01243 781312.